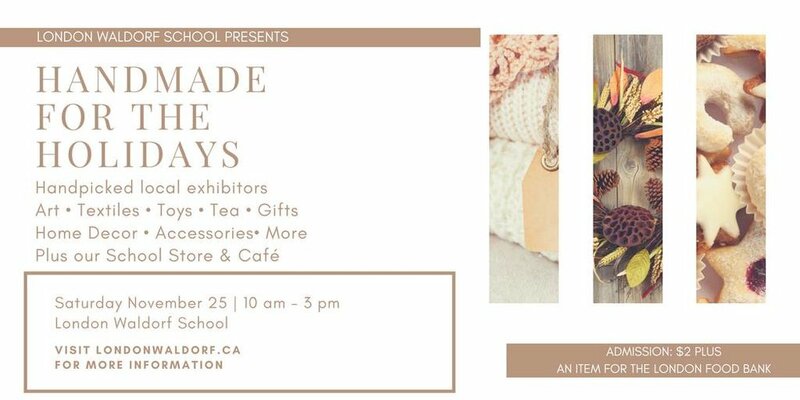 The London Waldorf School will be hosting a special annual event, Handmade for the Holidays. We strongly recommend this treasure trove of interesting and locally handmade items for presents or to treat yourself. And don’t miss the cafe! We will be there too, selling Weleda body care products to benefit ROSE and from the Sunnivue Farm Store: pottery, coffee, planting calendars, Carol’s crafts (scarves, soy and beeswax candles, and soap) and CSAs for 2018. You will also find a wide variety of lovingly crafted gifts offered by a number of local vendors. Please bring an item for the London Food Bank as well as your $2 admission. We are excited to be able to tell you that Rosemary is coming all the way from Trenton to give any interested people an introduction to her work with the calendar and how to use it to help with your gardening or farming. This will happen on November 18, at 11:00 in the morning, at Sunnivue. The session will last about an hour, and you are very welcome to bring your questions. If you have any questions about this event, or can let us know you will be attending, please email us at sunnivue-farm@gmx.net. But please attend if you can even if you aren’t able to reply in advance. I am delighted to announce a wonderful activity taking place at the farm store! Angela Wisnoski, a nearby farmer and long-time friend of Sunnivue, will be making sauerkraut in a demonstration workshop. She will be using her own super cabbages. For more information about Angela’s farm, check out the her website. Angela is a regular supplier for the farm store. She is especially noted for her pork but also supplies a range of other delicious products.